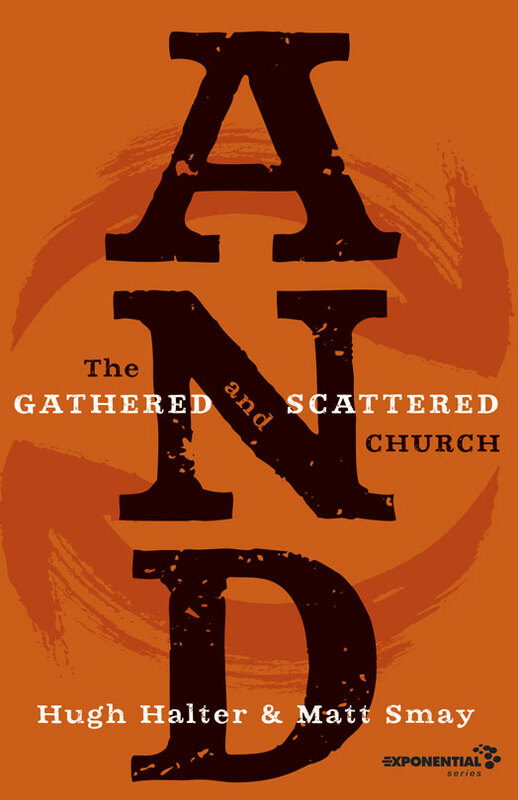 In Halter and Smay’s book, AND: The Gathered and Scattered Church, they challenge us to think differently, to move away from dualistic division that sets one missional practice over and against the other, to step out from our corners and work together to embody and share the kingdom of God. At the heart of the book is the affirmation that God desires both the gathered church, and the scattered church released through incarnational communities. They do this by firstly outlining the desperate need for the church, then identifying both the benefits and failures of each approach when existing independent of one another. It is from this foundation that the alternative is presented, no longer a choice, but a church embodying a “Yes” to both positions. The writer points out the difficulty and anxiety involved when communities go through the process of change, with departmental shifts within youth this is a current reality. It is within this context that the idea arises to establish pilot groups to help facilitate change without the danger of panic. The writers point out that “all real change happens at the grass roots level” (p.68) and pilot groups can help promote ideas and generate movement, without it feeling as though the change are top-down orders with the expectation of obedience. This does not reduce accountability, and as leaders we should be giving “quiet permission” to these initiatives, who can then stealthily promote missional movements. Within youth, this would work well, especially considering a Cadre is approximately the size of a tithe (10%). Having a Cadre pilot an idea and then bring others on board could be a successful approach when it comes to missional living. This can become both Research and Development, or perhaps an ongoing ministry. Either way, change is enacted without throwing the existing structure out – it will be transformation, not revolution that will lead the next generation to see beyond themselves. There is always a cost involved in ministry, but we must be faithful in challenging people, not simply pandering to their desires – especially youth that we are shaping for the future. This has implications for the wider church, but also for ministries such as youth, to be prepared to be released and sent, rather than just treating youth group as a time to grow and develop. In reality the sodalic will also generate growth, but too often this is ignored. When we get too comfortable in one aspect, the other must be reignited to balance the ministry out (p.128). It doesn’t have to be a choice, but a partnership – the church in action: gathered AND scattered. So much of ministry is about balancing tension, weighing up options and ultimately integrating strategies. It is in these situations that we must show great humility, not losing our conviction and passion, but equally being open to see alternatives. Perhaps it is in this context that the ex-terrorist can ask his question, and by doing so, unlock a new possibility within the old. Jeff: Do you know how many times I haven’t eaten a donut? How much I got teased in grade school for dabbing my pizza with napkins? I suffered, I’ve denied myself. Because the rule says, if I did that, I would live longer…it’s not fair! Duncan: Look, the way I see it, while claiming to have no religion, you are actually devoutly worshipping yourself. And since your god has high cholesterol…you’re trying to kick Pierce’s in the balls. I am not God. A shocking revelation I’m sure. Yet for so many people in this world, there exists an underlying belief of self-divination. It may not be made explicitly vocal, and yet is so commonly seen in the outflow of selfish actions, empty anger, and deep suspicion of others, this insidious underlying belief that we can somehow make it on our own. This is a matter of the heart, a heart that God deeply wishes to renovate into one of holistic Christlikeness: a necessary heartbreak. 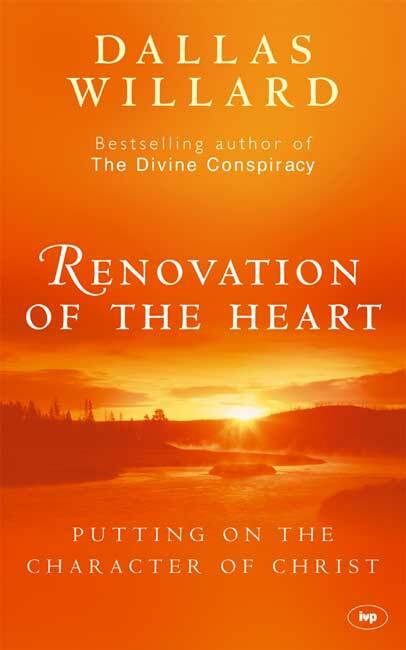 In Willard’s book, Renovation of the Heart, he addresses the ways in which the moral responsibilities of followers of Jesus have been hijacked by a crooked society that has moulded the human heart, the spiritual source of outlook, choices and actions, away from the Creator God. He articulates the desperate need for Christians to be distinctive in the world through an intentional and practical process of holistic transformation: the mind, the will and character, the body, our social dimension, and the soul. Young people are bombarded with decision-making situations in their unique season of rapid life change, and as leaders we must equip them in these circumstances to make life-giving decisions that will orientate their heart toward Christlikeness. When working with youth we need to be reminded that “choice is where sin surfaces and dwells” (p.6), this means that we must be active in empowering young people to boldly subscribe their life to the selfless way of Jesus, rather than being dragged down into disruptive cultural norms due to either fearful indecision, or simply being nominal yet truly uninformed. In this action we must create more than just an intention in the lives of the youth we are ministering; the youth can have the greatest intention to do the right thing, but unless we provide them with opportunities to share Christ’s love through active decision we will not see transformation, and the cultivation of good fruit: “By their fruit you will recognize them” (Matt 7:16). Equally, revision must be a common occurrence, not just in the individual who can look back and reflect on his or her loving actions, but also as a ministry, to re-orientate ourselves with Kingdom principles in order that we might sustain these decision making possibilities with a vision and hope of reconciliation through the redemptive work of Christ (p.60). Living toward life or death? Willard is very bold in challenging the primary orientation of the Christian community. Is our ministry one that promotes living toward life, or is it simply a preparation for death? There is a stream of belief that understands the Christian faith as path to escape this world, yet this self-defeating, rooted in the ‘basics’ of a particular church tradition, rather than the pursuit of Christlikeness: “it creates groups of people who may be ready to die, but clearly are not ready to live” (p.24). With a wealth of faith options readily available, young people are looking for a faith that is relevant to today, one that speaks into their actions and relationships, their identity and inner-self. When Jesus said that he came to give us life in the full (Jn 10:10), why should a ministry still be orientated around death? Spiritual disciplines when rooted in the embrace of this life, do not act as some form of other-worldly behaviour, but rather a pursuit of wholeness and peace, abandoned to God (p.102). Scare tactics do not work for this generation, they want to subscribe to something, not be fleeing from it. In ministry, that means that our language matters, especially when it comes to powerful words like heaven, hell, life and love. What must we unlearn in our ministry before we learn something new? Remaining holistic, both theologically and practically is essential in ministry. So often we can find ourselves in ministry targeting a single aspect of the young person, whether mind (changing thoughts or worldview), body (attempting to change actions or behaviours), or social (trying to promote healthy relational engagement). Yet Willard promotes a holistic form of ministry, a mode that encompasses all the aspects as essential and integrated in the necessary heartbreak of Christlike discipleship (pp.188-190). In study we must target all these aspects in their uniqueness and valuable addition to the whole, incorporating physicality and communal engagement. Likewise, in acts of practical service we must incorporate the mind and social dimensions as well. This holistic and ongoing inner-transformation is essential to communicate to avoid a legalistic presentation of the gospel, whereby young people are expected to behave in such a way that is against their own desires rooted in self-idolisation, a “completely impossible” (p.194) task. Apprenticeship under Jesus is a multi-faceted journey, dying to the holistic self in order that we might enter the life that truly is life (1 Tim 6:19), liberated by love from the death that deceives (1 Jn 3:14). In light of the way this report is structured toward a changed understanding as to how we orientate ministry, it is apt that I conclude in the same way that Willard does, by bringing it back to the humble individual taking his or her place as human under the powerful transformative God. Our special programs, talents and skills cannot bring about renovation on their own, but rather we are “just ordinary people who are his apprentices, gathering in the name of Jesus and immersed in his presence, taking steps of inward transformation as we put on the character of Christ” (p.210). We are not God. It is a necessary heartbreak that truly heals us. We too need to re-examine the way that we develop the spiritual lives of young people, to synergise not only the power and influence found within the church, but equally the power and influence found within the family. Like Sheldon, we need to strive for correction when we are not convinced that the way we currently do ministry is most effective. We may even desire to learn a whole new ‘language’ to best communicate this need for change. Perhaps it is time in ministry to examine the citrus peels, particularly the tasty zest of thinking orange. In Joiner’s book, Think Orange, he challenges us to think differently about the dualism that has often occurred between church (yellow) and family (red) in the formation and spiritual development of young people. 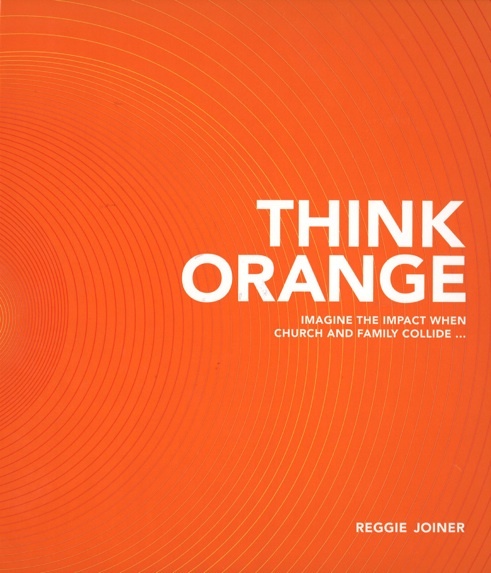 Joiner encourages a new paradigm of ministry: Orange – the idea that the two combined influences can make a greater impact than just two influences: that the church and family must be synchronised in purpose for effective outcomes. He bravely challenges the traditional theories of influence, pointing out five essential ministry movements that can transform the way we be church: integrate strategy, refine the message, reactivate the family, elevate community, and leverage influence. One thing that Think Orange makes clear is that youth need external mentors outside of their family structure that will say what a Christian parent would say, but with a different voice, in a different way. Sometimes there can be a rift created between church, family, and youth when it comes to who has the responsibility to speak into the lives of young people – parents rightly want control, senior youth rightly want independence, and the church rightly wants to contribute! This active tension is valuable, because as Joiner points out, “it [takes] multiple influences to guard the faith of a generation” (p.73). The key is to synergise these forces by creating structures and programs that allow for healthy mentorship to take place in a church, where parents can have confidence in, and awareness of, the voices their youth are encountering, without hanging over the church or youth in an act of surveillance. Proverbs 11:14 says, “Where there is no guidance, the people fall, but in abundance of counsellors there is victory.” This is Orange, and this is essential, as it is often within these intimate settings that the relational qualities of the Kingdom message are made personally relevant to young people. Relationship provides the setting for relevance, and a deeper understanding of what issues need to be tackled, and equally, which ones do not: “We are notorious for answering questions they just are not asking” (p.141). The message that we are sharing is already pre-certified by Jesus as life-changing, but we must make it relevant and helpful for the young people we are serving. Think Orange presents a necessary truth to the table: that there is a time crisis in youth ministry. We need to be honest about the amount of time that we have as a church to actually influence a young person in their spiritual formation. The book talks about the sobering 3,000/40 principle – that at best, the church would have only about forty hours per year to influence a child, compared to three thousand hours that the average parent would spend with their children (p.85). This has huge implications for the way that we do ministry. Firstly, it gives perspective to our ministry. We cannot carry the burden of a young person’s spiritual development alone, and nor should we. Secondly, it prompts us to be very intentional about what we do with the limited time that we do have, asking questions such as, “What do the youth need to hear that they wouldn’t hear at home?” Lastly, it provides us with the impetus to invest energy in partnering with the family unit, leveraging the three thousand hours of influence that they have: “Doing more for the family is the best way the church can have consistent influence in the heart of a child” (p.93). By thinking Orange, the time of influence is shared, not competed for. Transitioning into university life and culture is a huge step in the life of a young person; everything is new – pressures, networks, jobs, expectations, this is why the stability of community is so essential in times of transition (p.198). Think Orange challenges the common idea that when Year 12’s complete school, we simply hand them off to a university minister – they are somebody else’s problem. But what would it look like to remain connected? As a ministry we must stay connected with these young people by elevating community, not in an unhealthy dependent way, but in a way that creates expectation of relational longevity. We need to begin cultivating this community from early on in ministry – encouraging interaction with the other gender, establishing shared projects: we must move their faith from their head to their hands to impact their heart (p.206). Community provides space for accountability and discovery, while also empowering youth leaders to follow-up the youth that they once, and continue to lead, in a new way. Orange is about having a bigger perspective than simply the six neatly defined years of youth ministry. In John 15:15 Jesus says to his disciples, “I no longer call you servants, because a servant does not know his master’s business. Instead, I have called you friends…” The young people have entered into a new life stage, with new understanding, but they do not do it alone. This theological reflection just scrapes the surface of the depth of wisdom and insight contained within this book. Think Orange is a new language of ministry, a revolution of thought, yet with a clear contention: to see young people’s lives transformed. Both the church and the family are institutions that will forever prevail, but whether they are isolated parties, or a synergy of holistic discipleship is up to us.